A law firm dedicated to serving Washington residents and business owners. 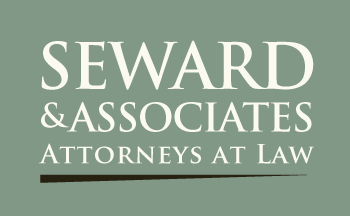 Seward & Associates, Attorneys at Law, has quickly built a reputation as a leading firm in Western Washington. A large portion of our excellent reputation is the result of our ability to offer clients legal representation and guidance in a number of practice areas. This variety of services, from real estate and estate planning to our full range of legal services for small businesses, including business formation, litigation and dispute resolution, has resulted in many of our clients turning to us for assistance with all of their legal needs, both personal or professional. With two office locations, one in Port Orchard and one in Seattle, we provide convenient assistance to clients from throughout Kitsap, King, Pierce, Jefferson and Mason counties. By offering both evening and weekend appointments, and free 30-minute phone consultations, we ensure our services are available to those living and working throughout the Puget Sound region. Thanks to their different legal focuses, our lawyers work hard to help you to not only overcome struggles but also plan for the future. 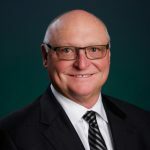 Richard D. Seward, a former certified public accountant who, in the past, managed a $100 million loan portfolio during his tenure at Citibank, offers assistance to clients with needs in the areas of estate planning and probate, asset protection, real estate law, and business-related matters. If you would like to learn more about how we can help you, just as we have helped your neighbors, we invite you to schedule an initial consultation at either of our two office locations. By calling 360.876.6425 or emailing us, you can arrange a time to discuss your concerns with one of our experienced attorneys.